The robber fly is usually considered to be the top aerial predator of the bug world. These photos may dethrone the robber fly and establish the spider as true king of the sky. 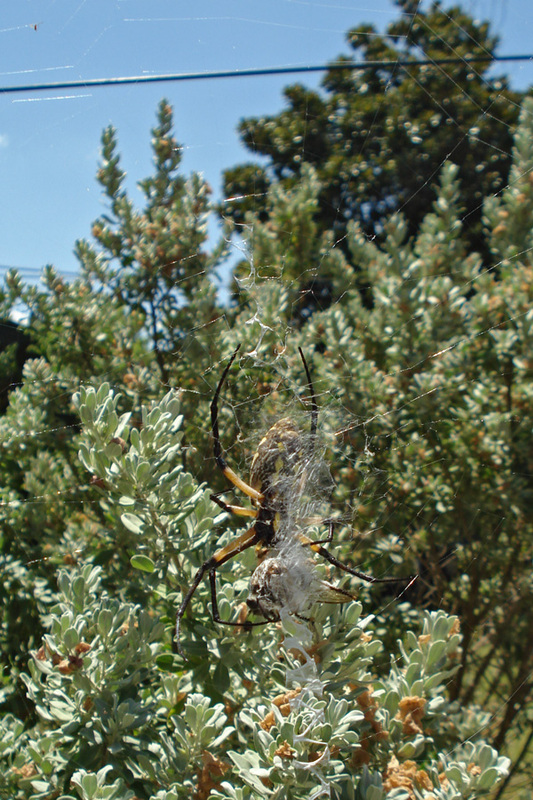 This past summer, I visited an Argiope aurantia (aka "Black and Yellow Garden Spider") in my front yard day after day to see what she was up to. She had made her web below some cables that string to my house. 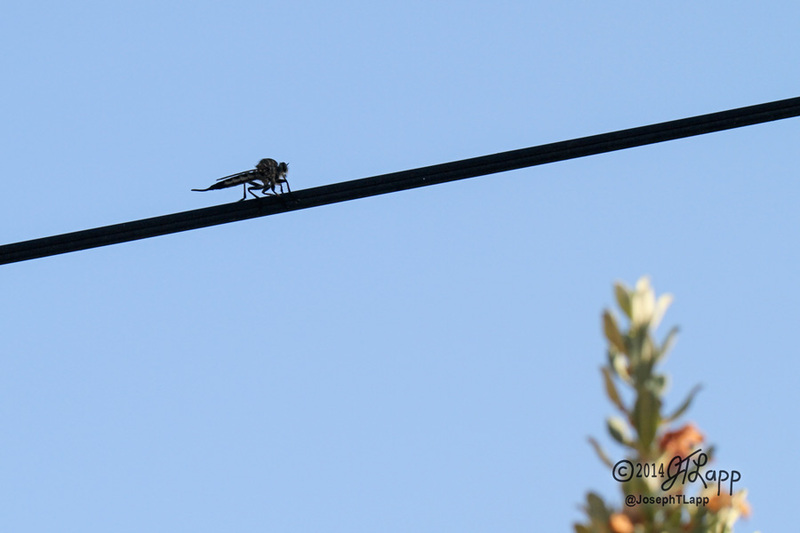 I often saw a robber fly monitor the sky from the bottom cable. I thought it was a cool sight and took this photo on August 7th, 2014. Three days later, on August 10th, I found that my spider had caught a robber fly. 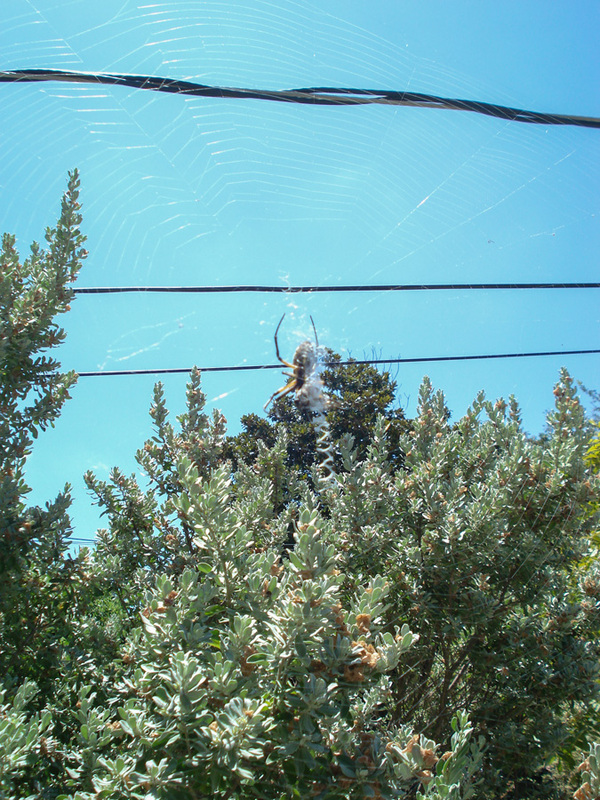 This isn't a great photo, but it shows the spider's web near the cables on which the robber fly would perch. She is feeding on a robber fly in this photo. This close up makes it clear that her prey is a robber fly. Out of curiosity, I kept looking for a robber fly on the cable for days afterward but never saw one there again. I suspect that my first photo is of the very robber fly that she is devouring. So is it rare that an Argiope would catch a robber fly? Perhaps not. The following photo is of another robber fly in this same spider's web, taken on July 19th, weeks before I took the above photos. The robber fly may be the top insect predator of the sky, but spiders are the top arthropod predator of bugs that fly. Maybe spiders shouldn't count because they themselves don't fly? But spiders do fly! 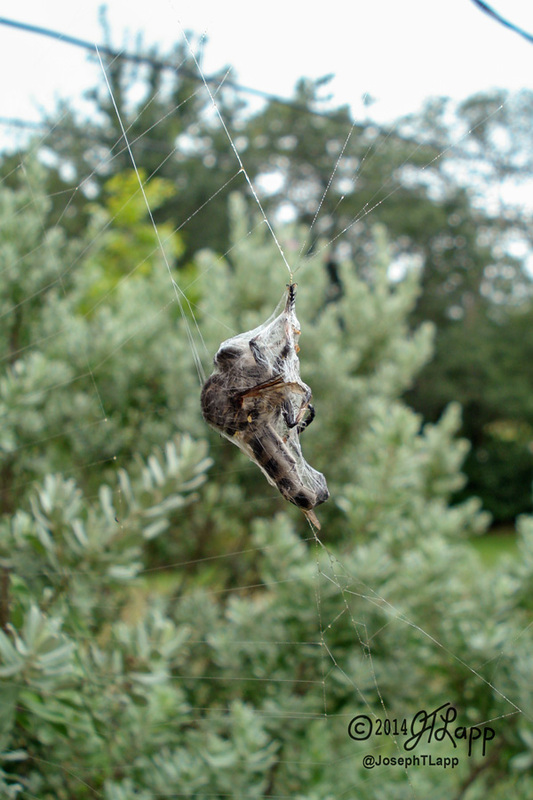 Mostly young spiders fly—by ballooning—but some adults have been seen ballooning too. Copyright © 1992-2016 Joseph T. Lapp. All rights reserved.